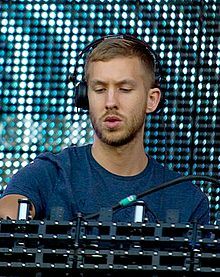 Adam Richard Wiles (born 17 January 1984), known professionally as Calvin Harris, is a Scottish DJ, record producer, singer, and songwriter from Dumfries. He is best known for his singles "We Found Love", "This Is What You Came For", "Summer", "Feel So Close", and "Feels". His collaboration single with Rihanna, "We Found Love", became an international success, giving Harris his first number one single on the US Billboard Hot 100 chart. He has released five studio albums and runs his own record label, Fly Eye Records, which he founded in 2010. His debut studio album, I Created Disco, was released in June 2007 whose two singles, "Acceptable in the 80s" and "The Girls", reached the top 10 in the UK. In 2009, he released his second studio album, Ready for the Weekend, which debuted at number one on the UK Albums Chart and whose lead single, "I'm Not Alone", became his first song to top the UK Singles Chart. In 2012, Harris rose to international prominence with the release of his third studio album, 18 Months, whch topped the UK Albums charts and became his first album to chart on the US Billboard 200, peaking at number 19. All eight of the album's singles reached the top 10 in the UK, breaking the record for the most top 10 songs from one studio album on the UK Singles Chart with eight entries, surpassing Michael Jackson’s record. In 2014, he released his fourth studio album, Motion, which debuted at number two in the UK and number five in the US. In 2017, he released his fifth studio album, Funk Wav Bounces Vol. 1, which reached the top 2 in the UK and the US and became his third consecutive number one album on the US Dance/Electronic Albums chart. In October 2014, he became the first artist to place three songs simultaneously on the top 10 of Billboard's Dance/Electronic Songs chart. He also became the first British solo artist to reach more than one billion streams on Spotify. Harris has received ten Brit Award nominations and four Grammy nominations, winning a Grammy for Best Music Video in 2013. He received the British Academy's Ivor Novello Award for Songwriter of the Year in 2013 and was named the Top Dance/Electronic Artist at the 2015 Billboard Music Awards. He appeared on Debrett's 2017 list of the most influential people in the United Kingdom. He topped Forbes' list of the world's highest-paid DJs for six consecutive years from 2013 to 2018. Adam Richard Wiles was born on 17 January 1984 in Dumfries, Scotland. His English parents, David Wiles, a biochemist, and Pamela Wiles (née Noon), a housewife, married in Oxford before moving to the Dumfries suburb of Georgetown. He has an elder sister, Sophie, and an elder brother, Edward. He attended Dumfries High School, and, after leaving school, he stocked shelves in supermarkets and worked in a local fish processing factory in order to buy DJ gear. He was first attracted to electronic music in his teens and began recording bedroom demos in 1999. When Harris was 18, he released two songs, "Da Bongos" and "Brighter Days". Both were released as 12-inch club singles and CD-EPs by the label Prima Facie in early 2002 under the name "Stouffer". With these singles to his credit, Harris moved from Scotland to London, hoping to learn from the local music scene. Only one of his songs, "Let Me Know" with vocalist Ayah Marar on the Unabombers' 2004 live-mix CD Electric Soul, Vol. 2, was released during his time in London. With the lack of job opportunities and money, he returned home to Dumfries and began posting homemade solo recordings to his Myspace page. His popularity on the social media website prompted Mark Gillespie, a talent booker for the dance-festival firm Global Gathering who had recently founded his own management firm, to make Harris the company's first signee. Regarding his choice of his stage name, Harris stated that, "My first single was more of a soul track, and I thought Calvin Harris sounded a bit more racially ambiguous. I thought people might not know if I was black or not. After that, I was stuck with it." Harris signed contracts with Three Six Zero Group (management), EMI (publishing), and Sony BMG (recording) in 2006 after he had been discovered on the social networking website Myspace. Later in 2006, Harris produced a remix of All Saints' single "Rock Steady". Harris's debut album, I Created Disco, was released in June 2007. 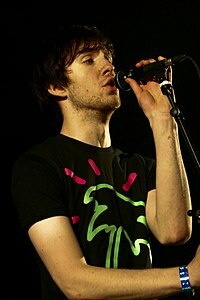 He started working on the album in 2006 after he moved back from living in London to his hometown of Dumfries, Scotland. All 14 tracks were written, produced, and performed solely by Harris, and all recording and producing for the album took place on an Amiga computer. To promote I Created Disco, Harris embarked on a tour of the UK, supporting Faithless and Groove Armada. I Created Disco was certified gold by the British Phonographic Industry (BPI). It reached number eight on the UK Albums Chart and number 19 on the US Top Electronic Albums. The album contained uptempo electroclash songs that were influenced by music from the 1980s. The song, "Vegas", was issued on limited edition vinyl. The first wide-release single from the album was released in March 2007. "Acceptable in the 80s", a tribute to the style and culture of the decade, reached number 10 on the UK Singles Chart, remaining on the chart for 15 weeks. "The Girls", the album's second single, peaked at number three on the UK Singles Chart and at number four on the Scotland chart. The third and final release from the album, "Merrymaking at My Place", reached number 43. The same year, Harris caught the attention of Australian pop singer Kylie Minogue after his recordings had been passed on to her by another record producer. This led to him co-writing and producing two songs, "Heart Beat Rock" and "In My Arms", on her 2007 album X, the latter becoming a top 10 single in the UK. Harris said that working with Minogue was "surreal, but fun" although he admitted to Mixmag in 2007 to "needing a few drinks before meeting her". Harris also contributed the song "Off & On" to Róisín Murphy's album Overpowered, but it was cut from the album. Harris would later give the song to Sophie Ellis-Bextor to record for her 2011 album Make a Scene. Harris also produced a remix of the second single "4th of July (Fireworks)" from Kelis' album Flesh Tone. He additionally reworked singles by Jamiroquai, Groove Armada, All Saints, and CSS. In 2008, Harris collaborated with rapper Dizzee Rascal on his single "Dance wiv Me", producing the track and singing the hook. The single reached number one in the UK and has been certified platinum by the BPI, selling 600,000 copies. It was shortlisted for the 2008 Popjustice £20 Music Prize. In 2009, it received a Brit Award nomination for British Single and an Ivor Novello Award nomination for Best Contemporary Song. On 18 October 2008, Harris was featured on BBC Radio 1's Essential Mix on a two-hour set. Harris's second album, Ready for the Weekend, was released in August 2009 and debuted at number one on the UK Albums Chart, being certified gold by the BPI within two months of release. Eleven of the fourteen tracks on the album were sung, produced, and written solely by Harris. "I'm Not Alone", released as the album's lead single in April 2009, debuted at number one on the UK Singles Chart. The follow-up single, "Ready for the Weekend", reached number three. The third single, "Flashback", featuring Jordanian singer Ayah Marar reached number eighteen in the UK. During promotion of the album, Harris hosted a series of videos on YouTube titled JAM TV, in which musicians such as Florence Welch, Goldie, and Katy Perry tried to open pots of jam. At the 2010 Brit Awards, Harris received a nomination for Best British Male. On 8 February 2010, "You Used to Hold Me" was released as the fourth and final single from the album. It reached number 27 on The UK Singles Chart. The song marked the last time Harris regularly sang on his records, opting to focus more on music production while having guest singers provide the vocals for him. The same year, shortly after his "Ready for the Weekend tour" wrapped up, Harris parted ways with members of his band in which he served as lead vocalist and made the decision to stop doing live shows. In an interview with Billboard, Harris said that, "I thought I'd exhausted every avenue [on the two albums] and it takes a long time to make me sound good, which is why I stopped singing live as well. I'd like to think of someone who's better-looking, a better singer, better dancer to be the frontperson for the song." He also released several remixes, including remixes of Shakira's "She Wolf", Katy Perry's "Waking Up in Vegas", Mr Hudson's "Supernova" (featuring Kanye West), and Mika's "We Are Golden". Harris also produced Dizzee Rascal's next single titled "Holiday", which reached number one on the UK singles chart. Harris made a guest appearance as vocalist on Tiësto's song "Century" on the Dutch producer's album, Kaleidoscope. Harris also produced and mixed the English duo The Ting Tings' single Hands which was released on 18 August 2010. The song was originally set to become the first single of thnduo’s second studio album, but they cancelled the album plans and the song was added as a bonus track on the deluxe edition of Sounds From Nowheresville. On 14 November, Harris invaded the stage of the UK's The X Factor during a performance by Irish duo Jedward, holding a pineapple on his head. He later apologised on Twitter. Harris claimed that Chris Brown's "Yeah 3x", released in October 2010 plagiarised his 2009 single "I'm Not Alone" After considering similarities between the two songs, Harris was subsequently added to the songwriting credits on the single and the F.A.M.E. album. Harris was also featured on Kylie Minogue's eleventh studio album, Aphrodite, collaborating on a disco and synthpop track titled "Too Much". In July 2010, he released a mix titled L.E.D. Festival (short for L.E.D. Festival Presents... Calvin Harris). In 2011, Harris toured as a support act for the European leg of Barbadian singer Rihanna’s Loud Tour. Rihanna was quoted saying that , "Calvin is the perfect fit for the Loud tour. He is going to bring something unique and fun for the fans." Harris played the 2011 Mardi Gras Party in Sydney on 5 March. Harris was also featured on LMFAO's album Sorry for Party Rocking, appearing on the track "Reminds Me of You", which is based on Harris's own song "Awooga". Harris produced Tinchy Stryder's second single, "Off the Record", from his fourth studio album, Full Tank. The track had its premiere on 15 September 2011 and was released in the UK on 6 November 2011. Harris released the single "Bounce", the first single from his upcoming album, a collaboration with Kelis that debuted at number two on the UK Singles Chart in June 2011. "Feel So Close", the second single from the album, was released in August 2011 and also reached number two in the United Kingdom. "Feel So Close" became his first solo entry on the Billboard Hot 100 in the US, peaking at number 12. He performed at the 2011 Jingle Bell Ball concert and was announced as one of the headline acts at a number of Southern Hemisphere 2011/2012 new year music festivals. Following a stint as the support act on the Australian leg of Rihanna’s tour, Harris produced Rihanna’s songs "We Found Love" and "Where Have You Been". The former was included on Harris's upcoming album 18 Months and premiered on Capital FM radio in the UK on 22 September 2011. "We Found Love" topped the charts in 27 countries worldwide, including the UK where it became Harris's third UK number one, peaked in the top 10 in 30 countries, and broke many records worldwide. Topping the Billboard Hot 100 for 10 non-consecutive weeks, it was Harris's first US number one and was also Rihanna's longest-running US number one and the longest-running number one of 2011. "We Found Love" was later ranked number 24 on the list of the all-time top 100 songs on the Billboard Hot 100. In 2013, "We Found Love" was placed at number three on Billboard's top 10 dance-pop collaborations of all time. Harris co-wrote and co-produced the bonus track "One Life" for R&B singer Mary J. Blige's album My Life II... The Journey Continues (2011). He also worked with the pop band Scissor Sisters on the single "Only the Horses" from their fourth studio album, Magic Hour. He wrote and produced Cheryl Cole's single "Call My Name", the lead single from her third album A Million Lights. He also produced a remix of Florence and the Machine's "Spectrum" titled "Spectrum (Say My Name)". The song was released as the album's fifth single on 5 July 2012. It was serviced to radio in the UK on 2 July 2012. It became the group's first single to peak at number one on the UK Singles Chart. "Let's Go" featuring Ne-Yo, the third single from the album, was released in April 2012 and reached number two in the UK Singles Chart. It was his second US Billboard Hot 100 appearance as a main artist, charting at number 17. The song received a nomination for Best Dance Recording at the 55th Grammy Awards which was held in February 2013. The album's fourth single "We'll Be Coming Back" was released in July 2012. Featuring rapper Example, it peaked at number two in the UK. The fifth single, "Sweet Nothing", features Florence Welch of Florence and the Machine and was released on 14 October 2012. It peaked at number one on the UK Singles Chart and at number 10 on the US Billboard Hot 100. The song received a nomination for Best Dance Recording at the 56th Grammy Awards. His third studio album, 18 Months, was released on 29 October 2012. Harris eventually made UK chart history by becoming the first artist to attain eight top-10 singles from one studio album, breaking the record previously set by Michael Jackson. In March 2017, the record was surpassed once again by Ed Sheeran, after his album ÷ spawned 10 top-10 songs on the UK chart. 18 Months received a nomination for Best Dance/Electronica Album at the 56th Grammy Awards. Harris was also nominated for Best British Male Solo Artist at the 2013 Brit Awards in February. 2013–2015: Motion and "How Deep Is Your Love"
On 14 March 2014, Harris's song "Summer" premiered on the UK's Capital FM. The track which was released as the album's second single debuted at number one on the UK Singles Chart, becoming Harris's sixth UK number-one single. It also became Harris's highest-charting solo single on the US Billboard Hot 100, peaking at number seven. "Summer" was Spotify's most-streamed track of 2014 with over 200 million streams. Harris also produced the single "I Will Never Let You Down" for British singer Rita Ora. On 18 May 2014, the song debuted at number one on the UK Singles Chart, two weeks after his song "Summer" debuted at the top of the charts. In April 2014, Harris performed on the main stage of Coachella Festival. His set attracted the second largest crowd in the festival's history, topped only by the 2012 set of Dr. Dre and Snoop Dogg which featured a hologram of Tupac Shakur. That year, he was also a headline act at several prominent music festivals, including Lollapalooza, Austin City Limits Music Festival, the iTunes Festival in London, Electric Daisy Carnival, and the iHeartRadio Music Festival. The third single, "Blame", was a collaboration with vocalist John Newman. It was released in September 2014 to positive reviews from music critics and debuted at number one on the UK Singles Chart, giving Harris his third consecutive UK number-one single (and his seventh solo single overall). After the release of the song, Harris became the first British solo artist to reach more than a billion streams on Spotify. Later that month, Harris uploaded an instrumental track called "C.U.B.A." to SoundCloud. "Outside", the fourth single from the album, featuring Ellie Goulding, was released in October 2014. It marked the second collaboration between Harris and Goulding, following the internationally successful single "I Need Your Love" from 2013. The instrumental track "Slow Acid" was released as a promotional single from the album on 14 October 2014. His fourth album, Motion, was released on 4 November 2014. It includes the previously released singles "Under Control", "Summer", "Blame", and "Outside". Another track from the album, "Pray to God", featuring rock band trio Haim, was released on 11 February 2015. At the 2015 Brit Awards, "Summer" was nominated for Best British Single and British Artist Video of the Year. At the 2015 Glamour Awards in London on 2 June, Harris was named Glamour UK's Man of the Year. He was also ranked 6th on Billboard's Top 30 EDM Power Players. The same month, he was part of the main stage line-up at the Electric Daisy Carnival held in Las Vegas. On 17 July 2015, Harris and London-based production trio Disciples released the single "How Deep Is Your Love". The song peaked at number two on the UK Singles Chart, giving Harris his 19th top-10 entry in the UK. It peaked at number one on the ARIA Charts, giving Harris his first chart-topper in Australia. The song peaked at number three on the Hot Dance/Electronic Songs in the US and marked Harris's eighth top-10 entry since the chart's launch, making it the most of any act. In September, Harris was featured on Dillon Francis's EP This Mixtape Is Fire, collaborating on a Moombahton-style track entitled "What's Your Name". At the 2016 Brit Awards, Harris received three nominations: Best British Male Solo Artist, "How Deep Is Your Love" for British Single of the Year, and Best British Video. Harris released a new single titled "This Is What You Came For", which features Rihanna, on 29 April 2016. The single debuted at number two on the UK Singles Chart. It peaked at number three on the US Billboard Hot 100, becoming Harris's second top five song. It also reached number one on the US Hot Dance/Electronic Songs, became Harris's tenth number one on sister chart Dance/Mix Show Airplay and his fourth chart-topper on the Hot Dance Club Songs Chart. It topped the charts in Australia, Canada, and the Republic of Ireland and peaked within the top ten of the charts in Germany, Ireland, New Zealand and Switzerland. On 24 June 2016, Harris released a collaboration with Dizzee Rascal, titled "Hype". On 8 July 2016, John Newman released the track "Olé", which was produced by Harris. On 16 September 2016, Harris released "My Way", where he also performed vocals for the song. On 21 February 2017, he announced the song "Slide", his collaboration with American singer-songwriter Frank Ocean and hip hop group Migos. The song was released on 25 February 2017. Harris released a collaboration with Young Thug, Ariana Grande, and Pharrell Williams titled "Heatstroke" on 31 March 2017. In May, he announced that his forthcoming fifth studio album, Funk Wav Bounces Vol. 1, would be released on 30 June 2017. The album featured appearances from the likes of Travis Scott, Kehlani, Future, Katy Perry, Big Sean, John Legend, Khalid, Schoolboy Q, DRAM, Nicki Minaj, Lil Yachty, Jessie Reyez, PartyNextDoor and Snoop Dogg. On 8 February 2018, Harris collaborated with PartyNextDoor to release a dancehall-influenced house track titled "Nuh Ready Nuh Ready". On 6 April 2018, he released "One Kiss" with Dua Lipa. On 17 August 2018, the next single "Promises" was released with Sam Smith. The music video for the song was released on 4 September and honors the LGBTQ community with references to the ball scene and voguing. In November 2018, he released "I Found You", a collaboration with Benny Blanco. The song features his first time singing on a track since his 2016 single "My Way". It peaked at number 29 in the UK. He topped Forbes’ Highest-Paid DJs of 2018, becoming his sixth consecutive year to top the list (2013-2018). His next single Giant, a collaboration with English singer Rag'n'Bone Man was released in January 2019, peaking in the top 10 in several countries, including at number 2 in the UK. Harris is scheduled to perform every Friday as the resident DJ in Ibiza at Ushuaia from August to September. Harris's first two albums mostly contained electroclash and nu-disco music, largely influenced by music from the 1980s. On his third studio album 18 Months and its followup Motion, his music largely shed itself of these influences, moving closer to EDM and electro house. Following his professed disinterest in his single "My Way", Harris transitioned to funk on his fifth studio album Funk Wav Bounces Vol. 1, while also reintroducing some musical elements of his earlier work. In 2016, Harris stated that Jamiroquai and Fatboy Slim had inspired him to make music. In 2008, the artwork of Harris's debut album I Created Disco was featured as part of a multicoloured iPod nano campaign on TV and in print in the US. In 2009, Harris teamed up with Coca-Cola for their 'Open Happiness' advertising campaign in the UK. Harris wrote and produced an exclusive track for the brand called 'Yeah Yeah Yeah, La La La' which was featured on TV, digital, outdoor and on-pack promotional activity and was offered on 'Coke Zone' website for free download. The same year, Harris's song "Colours" was featured in Kia Motors's hamster television advertisement for the Kia Soul EV. In 2012, Harris was featured in the Pepsi Max commercial for their football campaign. Titled "crowd surfing", the advert showed Harris on the DJ deck playing his single "Let's Go" to the crowd of partygoers alongside star footballers Lionel Messi, Didier Drogba, Fernando Torres, Frank Lampard, Sergio Agüero and Jack Wilshere. In 2013, Harris teamed up with Sol Republic to create their first studio-tuned, professional-calibre headphones. The partnership involved designing a customised look for the headphones and redesigning its drivers to Harris's specifications. In early 2012, Harris signed an exclusive DJ residency deal with Wynn Las Vegas which included gigs at three of the luxury resort's avenues: Encore Beach Club, Surrender and XS Nightclub. In February 2013, Harris signed as the first exclusive resident DJ with the Abu Dhabi-owned hospitality company Hakkasan Group in Las Vegas. The 20-month residency saw him play 46 dates at MGM Grand's Hakkasan nightclub, as well as 22 additional gigs at the MGM Grand's Wet Republic. In January 2015, he extended his partnership with the Hakkasan group for three more years, which includes residencies at three of the group's Las Vegas venues (Hakkasan nightclub, Wet Republic and Omnia Nightclub at Caesars Palace). Harris also serves as the Group's music consultant for its restaurants, nightclubs and hotels, globally. On 30 March 2015, Harris was announced as a co-owner, along with various other music artists, in the music streaming service Tidal. The service specialises in lossless audio and high definition music videos. Rapper Jay Z acquired the parent company of Tidal, Aspiro, in the first quarter of 2015. Including Beyoncé and Jay Z, 16 artist stakeholders (such as Kanye West, Beyoncé, Madonna, Chris Martin and Nicki Minaj) co-own Tidal, with the majority owning a 3% equity stake. The idea of having a completely artist-owned streaming service was created by those involved to adapt to the increased demand for streaming within the current music industry and to rival other streaming services such as Spotify, which have been criticised for their low payout of royalties. Following the 2017 Las Vegas shooting, Harris revealed on his Instagram that he donated his fees from his show at Omnia Nightclub to the Las Vegas Victims fund. Later that year, Harris donated $20,000 to DJ Snake charity campaign to benefit the Rohingyas, people living in Myanmar that have consistently been attacked by the Myanmar government and are being pushed out of their home with nowhere to go. The situation in Myanmar has been deemed "beyond critical" by Amnesty International. Harris dated British singer Rita Ora from April 2013 until June 2014. From March 2015 to June 2016, Harris dated American singer-songwriter Taylor Swift. ^ "Calvin Harris Strikes Three-Year Deal to Keep DJing in Las Vegas". Billboard. 27 January 2015. Retrieved 25 July 2015. ^ a b Leatherman, Benjamin (25 April 2013). "Calvin Harris @ Maya Day and Nightclub". Phoenix New Times. Retrieved 26 October 2014. ^ a b Brandle, Lars (22 April 2013). "Calvin Harris Sets Chart Record, Becomes U.K.'s New 'King of Pop'". Billboard. Retrieved 26 October 2014. ^ "Latest Music Releases: Calvin Harris, The Jungle Giants, DJ Khaled, Haim, Washed Out". news.com.au. 6 July 2017. Retrieved 20 May 2018. ^ Wilson, Jen (5 June 2009). "Calvin Harris Books U.K. Tour". Billboard. Retrieved 2 August 2015. ^ "Calvin Harris". Billboard. Retrieved 14 July 2015. ^ a b "Calvin Harris's billion streams on Spotify are worth $7 million". Music Week. 8 September 2015. Retrieved 9 September 2015. ^ "Debrett's 500 List: Music". The Telegraph. 21 January 2017. ^ Mason, Stewart. "Calvin Harris Biography". AllMusic. Retrieved 12 October 2015. ^ "Calvin Harris: How the non-dancing, foul-mouthed, anti-social Scot became the 'Caledonian Justin Timberlake'". The Independent. London. 2 August 2009. Retrieved 14 July 2015. ^ Mason, Stewart. "Calvin Harris". AllMusic. Archived from the original on 23 September 2010. Retrieved 26 October 2009. ^ a b c d "Calvin Harris". Billboard. Retrieved 14 July 2015. ^ "Calvin Harris: I worked in a fish factory". Belfast Telegraph. 29 July 2015. ^ a b "Calvin Harris and Rihanna's Power Players: What's Next From Three Six Zero/Roc Nation's EDM-Pop Partnership". Billboard. Retrieved 11 October 2015. ^ "Interview: Calvin Harris". artistdirect. Retrieved 11 October 2015. ^ Ronan, Liam (26 March 2007). "Acceptable in the Noughties – Calvin Harris". Gigwise. Giant Digital. Retrieved 12 June 2007. ^ a b "Interview: Calvin Harris on software, hardware and hit-making". MusicRadar. Future. 20 February 2012. Retrieved 30 July 2014. ^ a b "Web wonder Calvin wins over Kylie". BBC News. 19 February 2007. Retrieved 12 March 2007. ^ "Calvin to support Groove Armada on UK Tour". calvinharris.tv. 19 April 2007. Archived from the original on 13 January 2009. Retrieved 12 June 2007. ^ a b c "British certifications – Calvin Harris". British Phonographic Industry. Retrieved 24 August 2015. Type Calvin Harris in the "Search BPI Awards" field and then press Enter. ^ a b c d e f g h i j k l "Calvin Harris". Official Charts Company. Retrieved 21 February 2015. ^ "Calvin Harris – Chart history: Dance/Electronic Albums". Billboard. Retrieved 30 July 2014. ^ "4th of July (The Remixes) – EP by Kelis". iTunes Store (US). Retrieved 26 October 2014. ^ "Calvin Harris | Biography & History | AllMusic". AllMusic. Retrieved 23 April 2018. ^ "Full list of awards and nominees for 2009 Brit Awards". The Independent. London. 29 July 2015. ^ "BBC Radio 1's Essential Mix, 18/10/2008". BBC Radio 1. 18 October 2008. Retrieved 12 September 2012. ^ "It's JAM TV from Calvin Harris...genius". Get Your Ears Out. 16 July 2009. Archived from the original on 25 April 2012. Retrieved 7 November 2011. ^ "Calvin Harris: I've quit singing". Digital Spy. Retrieved 11 October 2015. ^ a b c d "Calvin Harris Is Done Singing Lead, Despite Solo Hits". Billboard. Retrieved 11 October 2015. ^ "Calvin Harris: How the non-dancing, foul-mouthed, anti-social Scot became the 'Caledonian Justin Timberlake'". The Independent. London: Independent Print Limited. 2 August 2009. Retrieved 2 August 2009. ^ Dombal, Ryan (4 August 2009). "Sigur Rós's Jónsi, Bloc Party's Kele Okereke on New Tiësto Album". Pitchfork Media. Retrieved 8 August 2009. ^ a b Copsey, Robert (31 January 2012). "The Ting Tings: 'Scrapped album was s*** Euro-pop'". Digital Spy. Retrieved 18 February 2012. ^ "Calvin sorry for Jedward stunt". Irish Independent. 14 November 2009. Retrieved 15 November 2009. ^ Izundu, Chi Chi (4 October 2010). "Calvin Harris says Chris Brown 'stole' his song". BBC Radio 1. BBC. Retrieved 12 February 2011. ^ "Calvin Harris and Chris Brown make up after song row". BBC Radio 1. BBC. 25 August 2011. Retrieved 30 August 2011. ^ "Kylie Minogue, "Aphrodite"". Billboard. 25 June 2010. Retrieved 16 September 2013. ^ "Rihanna reveals Calvin Harris will DJ when Loud tour hits UK". Metro. 29 July 2011. Retrieved 12 September 2012. ^ "Calvin Harris joins the Party 2011 line-up!". Sydney Mardi Gras. Archived from the original on 21 July 2012. Retrieved 12 September 2012. ^ "Calvin Harris – Calvin Harris Produced Tinchy Single". Contactmusic.com. 2 September 2011. Retrieved 5 November 2011. ^ a b c "Calvin Harris – Chart history: Hot 100". Billboard. Retrieved 5 March 2013. ^ "2011 RhythmandVines, New Zealand". rhythm and vines. Retrieved 27 September 2014. ^ "Rihanna Calvin Harris – We Found Love". Music Charts. Retrieved 8 June 2012. ^ Trust, Gary (2 November 2011). "Rihanna's 'Found' Her Way Back to Hot 100 Summit". Billboard. Retrieved 7 September 2012. ^ Trust, Gary (21 December 2011). "Rihanna's 'Love' Her Longest-Leading Hot 100 No. 1". Billboard. Retrieved 7 September 2012. ^ Mason, Kerri; McCarthy, Zel (1 October 2013). "The Top 10 Dance-Pop Collaborations of All Time". Billboard. Retrieved 29 July 2014. ^ "My Life II... The Journey Continues (Act 1) CD". TheHut.com. 21 November 2011. Archived from the original on 1 April 2012. Retrieved 28 July 2015. ^ Goodacre, Kate (20 April 2012). "Cheryl Cole new single 'Call My Name' – listen now". Digital Spy. Retrieved 21 April 2012. ^ "New Releases U.K. – Forthcoming Singles". Radio1 Rodos Greece. Archived from the original on 12 May 2012. Retrieved 3 July 2012. ^ "Official Charts Analysis: Newton Faulkner needs just 16k sales to hit No.1". Music Week. 16 July 2012. Retrieved 16 July 2012. ^ "Calvin Harris unveils his Florence Welch collaboration 'Sweet Nothing' – listen". NME. 28 August 2012. Retrieved 12 September 2012. ^ Hanagan, Ellie (14 April 2011). "Interview: Calvin Harris on his new single, Twitter and touring with Rihanna". Beatportal. Archived from the original on 17 April 2011. Retrieved 5 November 2011. ^ Myers, Justin (10 March 2017). "The albums that spawned the most Top 10 singles". Official Charts Company. Retrieved 18 June 2017. ^ Downey, Ryan J. (6 September 2012). "VMA DJ Calvin Harris Nabs Moonman For Best EDM Video". MTV News. Retrieved 12 September 2012. ^ Vena, Jocelyn (10 September 2012). "Rihanna Credited For Catalyzing Calvin Harris' VMA Breakthrough". MTV News. Retrieved 12 September 2012. ^ "CALVIN HARRIS JOINS STARS AT 2013 FORMULA 1™ GULF AIR BAHRAIN GRAND PRIX PARTY". Bahrain International Circuit Website. Archived from the original on 29 October 2013. Retrieved 27 March 2013. ^ Masters, Tim (16 May 2013). "Emeli Sande enjoys double win at Ivor Novello awards". BBC News. Retrieved 24 June 2014. ^ Hampp, Andrew. "Calvin Harris Is Done Singing Lead, Despite Solo Hits". Billboard. Retrieved 9 September 2016. ^ "Calvin Harris, Alesso, Hurts Theo debut new single 'Under Control' – listen". Digital Spy. Retrieved 25 October 2014. ^ "Harris's EDM-style remix will appear on the deluxe edition of the band's 'Direct Hits' album, out November 11". Rolling Stone. 26 October 2013. Retrieved 3 August 2013. ^ "Calvin Harris Remixes Killers' 'When You Were Young' – Song Premiere". NME. 25 October 2013. Archived from the original on 1 March 2014. Retrieved 3 August 2013. ^ "Calvin Harris' New Song 'Summer' For First Play on Capital Friday 14th March". Capital FM. 13 March 2014. Retrieved 14 March 2014. ^ Lane, Daniel (4 May 2014). "Calvin Harris scores his sixth UK Number 1 single with Summer". Official Charts Company. Retrieved 7 May 2014. ^ "Calvin Harris – Chart history: The Hot 100". Billboard. Retrieved 13 December 2014. ^ a b "How DJ Calvin Harris Became the Year's Most Successful Headliner". Inc. Retrieved 2 August 2015. ^ a b "Calvin Harris beats out Arcade fire and Outkast at Coachella". DJ Mag. 16 April 2014. Archived from the original on 22 April 2014. ^ Joyce, Alice (5 September 2014). "'Blame' set to be our next summer anthem..." MTV. Retrieved 5 September 2014. ^ "Calvin Harris Teases New Track 'Slow Acid' – Listen Here!". MTV UK. Retrieved 25 October 2014. ^ "Calvin Harris announces new album Motion". Official Charts Company. 26 September 2014. Retrieved 26 September 2014. ^ "BBC Radio 1 Playlist". BBC Radio 1. Archived from the original on 3 February 2015. Retrieved 29 July 2015. ^ Hann, Michael (15 January 2015). "Sam Smith, George Ezra and Ed Sheeran dominate Brits nominations". The Guardian. Retrieved 29 July 2015. ^ "Calvin Harris Finds His 'Glamour U.K.' Awards Man of the Year Win 'Unexpected'". Retrieved 30 July 2015. ^ "Top 30 EDM Power Players". Retrieved 30 July 2015. ^ "EDC Las Vegas Announces 2015 Lineup: Tiësto, Calvin Harris, Avicii & More". Retrieved 31 July 2015. ^ "How Deep Is Your Love – Single by Calvin Harris & Disciples". iTunes Store. Retrieved 14 July 2015. ^ "UK Official Singles Charts". officialcharts. 7 August 2015. Retrieved 28 August 2015. ^ Harp, Justin (24 July 2015). "Little Mix make history as 'Black Magic' stays at UK No.1 for second straight week". Digital Spy. Retrieved 2 August 2015. ^ "Calvin Harris scores his first ARIA #1". ARIA Charts. 30 August 2015. Archived from the original on 5 September 2015. Retrieved 30 August 2015. ^ Murray, Gordon (30 July 2015). "Calvin Harris Digs 'Deep' in Dance/Electronic Songs Debut". Retrieved 31 July 2015. ^ "DILLON FRANCIS & CALVIN HARRIS PREMIERE NEW COLLAB 'WHAT'S YOUR NAME'". EDM.com. Archived from the original on 17 September 2015. Retrieved 9 October 2015. ^ "Brit Awards 2016: The nominations". BBC News. 14 January 2016. Retrieved 22 January 2016. ^ "Hear Calvin Harris and Dizzee Rascal's New Single: Does It Match the 'Hype'?". Billboard. 24 June 2016. Retrieved 17 July 2016. ^ "Calvin Harris & John Newman's 'Ole': Listen to the Controversial Breakup Song". Billboard. 8 July 2016. Retrieved 17 July 2016. ^ Roth, Madeline (20 September 2016). "Calvin Harris Reveals Who Convinced Him To Sing On 'My Way'". MTV. Retrieved 22 September 2016. ^ Reyes, Kim (18 September 2016). "Calvin Harris' new single 'My Way' has hit #1 on iTunes in 13 countries". dancingastronaut.com. Retrieved 22 September 2016. ^ Calvin Harris [@CalvinHarris] (21 February 2017). "CALVIN HARRIS // FRANK OCEAN // MIGOS" (Tweet) – via Twitter. ^ "Calvin Harris Reveals Details of Collaboration With Frank Ocean and Migos". Spin. 21 February 2017. Retrieved 1 July 2017. ^ "Calvin Harris reveals details of Frank Ocean and Migos collaboration 'Slide'". NME. 21 February 2017. Retrieved 1 July 2017. ^ Okey, Regan (14 March 2017). "Dua Lipa splits from boyfriend and gets closer to Calvin Harris in LA". Daily Star. Retrieved 1 July 2017. ^ "Heatstroke (feat. Young Thug, Pharrell Williams & Ariana Grande) – Single by Calvin Harris". iTunes Store (US). 31 March 2017. Retrieved 31 March 2017. ^ Gracie, Bianca (9 May 2017). "Calvin Harris Announces New Album 'Funk Wav Bounces Vol. 1': See the Release Date". Fuse. Retrieved 9 May 2017. ^ Bein, Kat (8 February 2018). "Calvin Harris & PARTYNEXTDOOR Drop New Tune, and You're 'Nuh Ready': Watch". Billboard. Retrieved 7 April 2018. ^ Blistein, Jon (8 February 2018). "Watch Calvin Harris' Glitchy 'Nuh Ready Nuh Ready' Video". Rolling Stone. Retrieved 7 April 2018. ^ Jones, Abby (6 April 2018). "Calvin Harris & Dua Lipa Release Enticing New Single 'One Kiss': Listen". Billboard. Archived from the original on 6 April 2018. Retrieved 7 April 2018. ^ Reilly, Nick (14 August 2018). "Calvin Harris announces new Sam Smith collab 'Promises'". NME. Retrieved 4 September 2018. ^ Wong, Curtis M. (2018-09-05). "With 'Promises,' Sam Smith And Calvin Harris Pay Homage To Queer Ball Scene". Huffington Post. Retrieved 2018-09-05. ^ "The World's Highest-Paid DJs Of 2018". Forbes. Retrieved 20 March 2019. ^ "Calvin Harris Will Heat Up Ibiza With Summer 2019 Ushuaïa Residency". Billboard. Retrieved 20 March 2019. ^ "Calvin Harris: Funk Wav Bounces Vol. 1 Review". Pastemagazine.com. Retrieved 20 May 2018. ^ Bein, Kat (12 February 2018). "Calvin Harris Says Porter Robinson Restored His Love of Dance Music". Billboard. Retrieved 15 March 2018. ^ "2015 Kia Soul EV Hamster Commercial – What's The Song?". Popcrush.com. Retrieved 1 July 2017. ^ O'Brien, Ciara (27 March 2014). "The Soundtrack of Life for music lovers". The Irish Times. Retrieved 27 July 2015. ^ "Calvin Harris to be Deconstruction A&R man". Retrieved 8 October 2015. ^ "Calvin Harris to A&R Deconstruction". Defected Records. Retrieved 8 October 2015. ^ "Wynn signs 34 dance music DJs to exclusive club residencies". Las Vegas Sun. Retrieved 4 October 2015. ^ Lipsay, Lauren (20 February 2013). "Calvin Harris Takes His DJ Talents to Hakkasan Las Vegas: Exclusive". Billboard. Retrieved 4 March 2013. ^ "Calvin Harris bags new Las Vegas deal with Hakkasan Group". BBC. 27 January 2015. Retrieved 29 July 2015. ^ "HAKKASAN GROUP SIGNS CALVIN HARRIS TO EXCLUSIVE THREE-YEAR PARTNERSHIP". Hakkasan Group. 27 January 2015. Archived from the original on 6 February 2015. Retrieved 29 July 2015. ^ Sisario, Ben (13 March 2015). "It's Official: Jay Z's Historic Tidal Launches With 16 Artist Stakeholders". The New York Times. Retrieved 26 July 2015. ^ Flanagan, Andrew (30 March 2015). "It's Official: Jay Z's Historic Tidal Launches With 16 Artist Stakeholders". Billboard. Retrieved 26 July 2015. ^ Goodway, Frankie (18 November 2014). "How much money DO musicians get out of Spotify?". Daily Mirror. Retrieved 26 July 2015. ^ a b "Wasted Youth". Londonist. 3 September 2007. Retrieved 1 August 2015. ^ "Housing charity urges Wickerman festival-goers to help support campaign to end homelessness". Shelter. 22 July 2008. Archived from the original on 20 October 2017. Retrieved 2 August 2015. ^ a b "post-BRITS gig 2010". Retrieved 2 August 2015. ^ "Take That to headline War Child and O2 BRIT Awards Show". O2. 19 January 2015. Retrieved 2 August 2015. ^ "Rihanna, Calvin Harris, More Teaming Up For Charity Concert". MTV. 30 January 2012. Retrieved 1 August 2015. ^ a b c "Press". RED.org. Archived from the original on 2 October 2015. Retrieved 1 August 2015. ^ "Tiesto Recruits Bono, Calvin Harris, Diplo for AIDS Charity Compilation". Rolling Stone. 20 November 2012. Retrieved 1 August 2015. ^ "CALVIN HARRIS DONATES $20,000 TO DJ SNAKE'S CHARITY CAMPAIGN BENEFITING THE ROHINGYAS TOTALING ALMOST $1.5 MILLION". MTV. 30 November 2017. Retrieved 17 May 2018. ^ "CALVIN HARRIS DONATES OMNIA BOOKING FEE TO FAMILY MEMBERS & VICTIMS OF LAS VEGAS SHOOTING". MTV. 30 November 2017. Retrieved 17 May 2018. ^ Greenburg, Zack O'Malley (14 August 2013). "Electronic Cash Kings 2013: The World's Highest-Paid DJs". Forbes. Retrieved 1 November 2014. ^ Greenburg, Zack O'Malley (19 August 2014). "The World's Highest-Paid DJs: Electronic Cash Kings 2014". Forbes. Retrieved 1 November 2014. ^ Greenburg, Zack O'Malley (24 August 2015). "The World's Highest-Paid DJs: Electronic Cash Kings 2015". Forbes. Archived from the original on 26 August 2015. Retrieved 24 August 2015. ^ Duff, Anna (8 May 2013). "Hot new couple?! Cara Delevingne's 'wifey' Rita Ora 'dating' Calvin Harris". celebsnow.co.uk. Retrieved 6 March 2017. ^ Hill, Nick (7 June 2014). "Calvin Harris And Rita Ora Split Up, DJ Confirms on Twitter". contactmusic.com. Retrieved 11 July 2014. ^ Lee, Esther (1 April 2015). "Taylor Swift Is Dating Calvin Harris: Details on Their New Romance". Us Weekly. Retrieved 24 May 2015. ^ "Taylor Swift and Calvin Harris Split: What Really Went Wrong With Their Relationship". eonline.com. 1 June 2016. ^ "Calvin Harris bags himself a new Entourage of fans as he launches his Hollywood career". Daily Record. 14 June 2015. Retrieved 15 August 2017. Wikimedia Commons has media related to Calvin Harris.